Today when I was out running trash to the transfer station and picking up tomatoes at the farm stand, I noticed all kinds of activity. My neighbor at the end of the street was sitting under her tree reading a Bible; a blonde wearing the biggest pair of sunglasses ever and a large smile was driving her convertible through town; and I returned home to find my next-door neighbor tying his kayak to the roof of his SUV. We are enjoying the warmest days of summer (those poor school kids who returned just today) and in sharp contrast to these folks, this week, I had decided to cozy up to the air conditioner and tackle that dining room closet. There it is! Clean and tidy with everything that doesn't belong out and my vacuum cleaner in. Heretofore, the vacuum has been sitting in a corner of my bedroom. Not ideal. What? Okay, those are the onion rings we ordered last Friday. We both enjoy them and so split a small order. All that? That's the stuff that was in the closet, but doesn't belong there. It does look as if the closet was ill and exploded. It has taken me three days to clean that closet and it will probably take me another three days to take care of the piles all around. 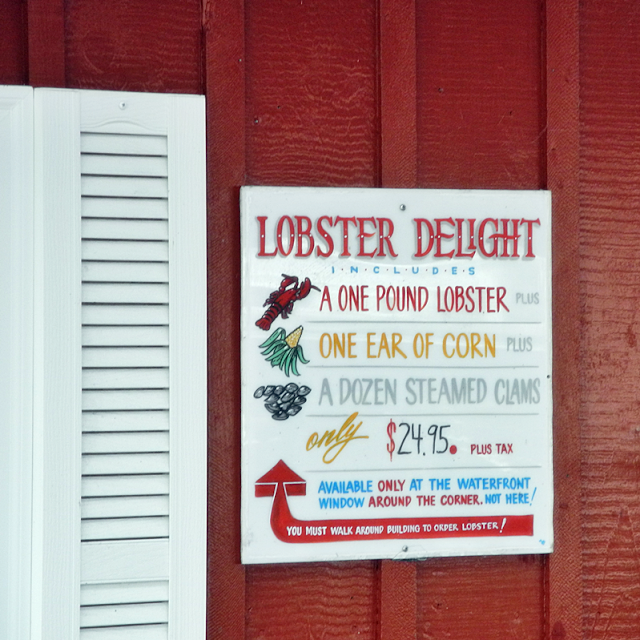 Now this is a good price for lobster, clams, and an ear of corn; however, Laurel and I opted for hot dogs. Today, I opted for a tomato. After waiting all this time for a fresh, ripe, local tomato, it was pure joy. And made the thought of spending the afternoon decluttering a little easier to take. The opening you set up would be a good start to a movie. I was seeing it all. Closet cleaning is something I attempt now and then, but give up when I get distracted. It's a never-ending quest. That lobster dinner sounds outstanding and at a bargain price. And the onion rings look mighty nice. I'm getting hungry! The desire accomplished is sweet to the soul!! I love a good onion ring! And tomatoes although we’ve only had store bought ones this year. No tomato man out on hwy 84 this year....makes me sad. We are on our way home! Pace yourself! Such a cheery post Vee - love how you enticed us with fresh lobster, it made me forget all about cleaning closets, yours or mine!!! I need to do so much regarding closets and storage areas in the house - it's so overwhelming that I keep putting things off and instead am dragged around the world by my nearest and dearest - not that I'm complaining as we won't be up for such shenanigans in the coming years I'm sure (he thinks we can go forever!!!!). I'd be afraid to open the closet here that needs the most cleaning -- !!!!!!!! Fun post, Vee. Good job cleaning out the closet, and I know you'll figure out the rest! I love onion rings! Yum! This was a fun post. I think being by the water and eating good food is so much more fun than cleaning a closet. But when it's done it will be a joy too. Do you want to come help me with mine now? I bet that tomato tasted good. I know that must be a great feeling to have tackled the closet. Do you peek in there every now and then just to appreciate your hard work? 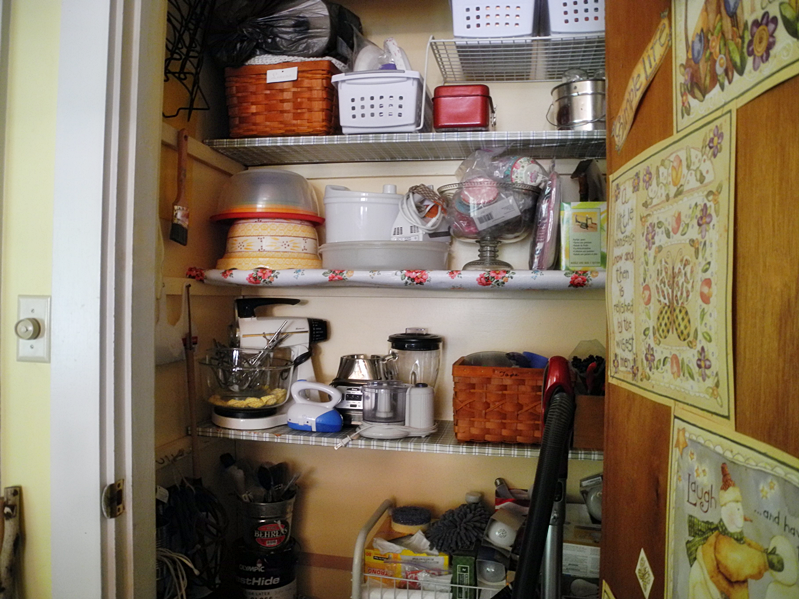 I can so relate to this topic as it seems I have spent all spring and summer cleaning closets, cupboards, attics.... I never thought I was a hoarder, but I'm having serious second thoughts. 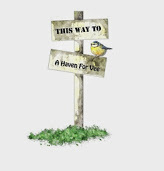 Although we have weeded just about everything now I still have some things that I can't for the life of me decide what to do with. My wedding dress being one of them. Just today we had the photos taken for the home listing and it had to go somewhere. It is currently residing on the back seat of my car. Ha! On another note, my mouth is watering after seeing those onion rings and reading that menu. Yum! It's hard work! I always end up with items without a home and that's problematic! But I'm sure you'll get it all ship shape in Bristol fashion! I love onion rings too and would have shared with you too! Hugs! Haha! Loved the post from beginning to end. 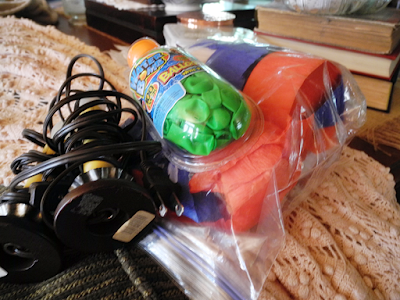 Oye, I've been thinking I'm going to be shocked at what I packed to take to our new digs instead of getting rid of it. We are fans of onion rings and a fresh tomato from the garden, too. Yum. Hope the decluttering went well for you. I hoped reading your post would motivate me to clean out a closet. I love looking at OTHERS doing it. Oh, how I can relate to this!!! At least you are doing it!!! Good job. Sorting out closets is hard work. I'm glad you had a fun time in the midst of it or before or after. You shared the onion rings? How noble. I love them and would likely eat them all. The first garden tomato is such a delight, isn't it? Our little cherry tomatoes are as sweet as candy. Good luck with sorting through the piles leftover from the cleanup. I tend to move things from one closet to another rather than get rid of things. Not ideal. I always wonder how I let things get in such a state. I'm so pleased for you that your closet is back in working order... a home for everything and everything in its home. Well, except for all the stuff that used to live in the closet. I find routed-out piles of this and that the worst, because these thing probably ended up in the closet in the first place because I didn't know what to do with them. I say a little prayer for brain storms of the creative kind. 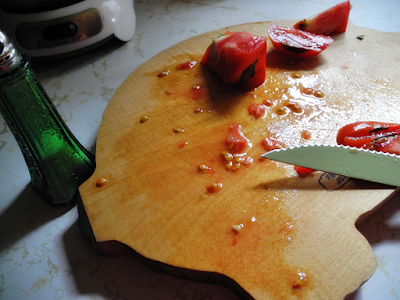 Your tomato would have been a delicious reason to carry on. There is nothing like a ripe summer tomato! I need to clean out and organize my clothes closet. Time well spent....you are a real inspiration! Oh those onion rings....yum-o! Hi Vee, how are you? Your little venture out to the trash place ended up being an adventure of sorts with all the cute things and people you encountered. That is what makes life fun. Have a great week. How is it that we ALL do that to our closets?? There is more stuff in mine that doesn't belong than what does! Do you eat "mater sammiches" in Maine? Just the other day I cleaned out the closet that was an avalanche ready to happen every time someone opened the door. It's good to have those jobs done, isn't it? And yesterday I stopped at Sonic and got an order of onion rings!! A pal had written about going out to eat and starting the meal with a bloomin' onion and it made me hungry! Did you put it all back in or did you, as I am, pack boxes for Goodwill? I like the idea of treating ourselves when the mood strikes! And we are often so suggestible here in Blogdom. Thanks for visiting. Do you blog, Joyce? Way to go on cleaning out the closet. You are welcome to come here and help me with mine. Yum on the onion rings and tomatoes! Hehehe...I totally understand about the closet, I have one just like it! Those onions rings look so delicious! I can just imagine eating them next to that gorgeous wharf...heaven! I have been canning chili sauce, and the smell of fresh tomatoes is like perfume in my kitchen. I always save some of the most beautiful tomatoes to eat for my lunch...delicious!! You're a riot, and very witty. Is the picture of the closet before or after you cleaned it out? 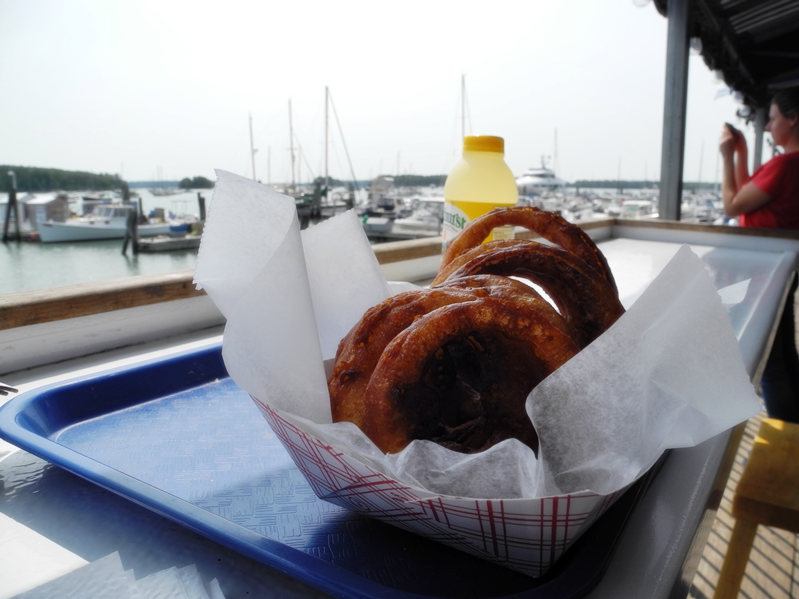 So glad you and Laurel could enjoy an outing to the sea and partake in those huge onion rings as well as other endeavors that day. Before or after? < thud > Should have provided the before pic for added drama. Congrats on the closet accomplishment!!! I rally around anybody who can check that task off their "to do" list! How therapeutic even to look at your refreshed closet! Now to get rid of the extra stuff. Have fun with that! Well done, Vee! I have a few closets (one more of a pantry) which need attention! Thanks for the inspiration! Hi Vee. Thanks so much for visiting my blog today. It was lovely to hear from you (other than on IG). It looks like you've been on a binge. haha. A cleaning binge that is. That always feels good! How nice you have met with some blog friends this summer. Can you believe tomorrow is September 1? Wow. Summer flew by as always but I enjoyed it a lot. Hi Vee, I love those pictures of the wharf -- just beautiful!! That's the way I always picture Maine in my mind. :) Oh dear, your closet reminds me of some of the rooms in our house, lots of things that don't belong. Sigh. It really is overwhelming to clear out, isn't it? I'm glad you got your closet organized; it always makes me feel so good to accomplish something like that. Thank you so much for your kind words on the passing of my father. I hope you have a good Labor Day holiday. Great job on the closet! I have a vacuum cleaner in a corner of our bedroom as well, and really do need to find another place to keep it. But I have no good ideas as to where that would be! I have SO much decluttering to do, and am making a stab at it before our trip, but I can't possibly get far along with everything else that needs doing before then. Loved your opening paragraph ... sounded like a Maine version of the Mitford books with the scene you set. I can't remember if there's more than one eating place on that wharf. We tried the Harraseeket Lunch & Lobster Co. a few years ago, and I was so disappointed in their fish, for the price. The fish we had with you at Dockside (as well as the fish we enjoy at our own local seafood place) was much better. Still, what a gorgeous spot in which to enjoy a hot dog and onion rings! Cleaning out closets is a job I put off as long as possible. However, it DOES feel good once it is accomplished. I’d say a reward is in order.. be it onion rings, lobster, or a fresh tomato sandwich.... yummm. I’m in the midst of a bountiful crop of garden tomatoes. I stew them and freeze, then use them all winter in chili, spaghetti sauce, etc. Way to go, Vee! I admire you for cleaning out the closet...whew! I seem to find other things to do instead of those kinds of chores. What's wrong with me??!! At least you had a nice, juicy tomato as a reward. 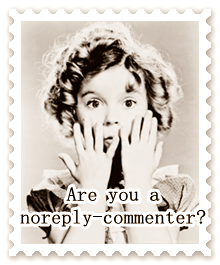 Somehow I didn't get your post emailed to me, as I always have. Hope you had a nice Labor Day, and didn't labor too much. Good for you, Vee! I have a closet like that in my kitchen that was exploding with foodstuffs--a side effect of shopping in Costco where if you buy anything it comes in multiples. I am slowly making myself use it all up before I buy any more. It is making me become creative with recipes. I wish I could find a lobster/clam dinner at that price here! Most of the time the price isn't next to lobster on a menu so i know it will be too expensive to order. Sounds familiar...closets full to overflowing with stuff that doesn't belong there. Way to go...on getting it whipped into shape! Love your coastal pic's. I have a friend visiting Maine right now...and have been thinking about our time there a few years ago. Loved it! Also, those onion rings look amazing! I would love one...or 10 right now. Hugs! hahaha... I just love your post Vee. 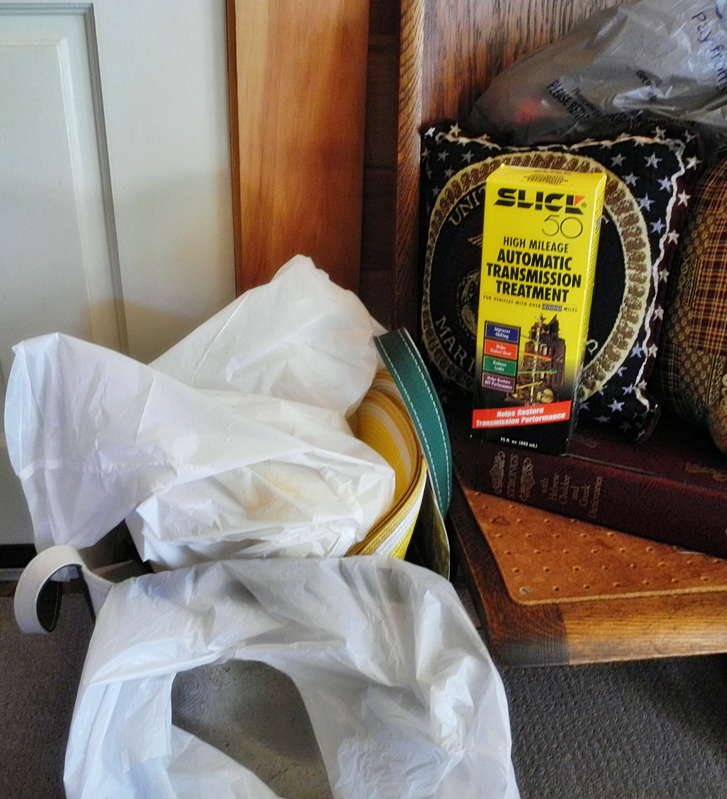 I am always baffled as to what to do with the piles of stuff I end up with after cleaning or sorting through areas in my house.. It is a neverending job around here. I surely wish we could get lobster like that here..
Vee, yes, a perfectly ripe, fresh local tomato IS pure joy. And your photo made me want to dive right into it. I've been tackling my clothes closet lately, making good headway, but am now toying with the idea of grouping the garments in a different way. Your trip sounds wonderful, I am hoping to take a trip to the ocean soon. God morning Vee! My first reactions to this post were to chuckle and then honestly say a little prayer for you. I know just what that's like, the closet explosion, that is. People like my sister and one of my daughters can't wrap their minds around this because their closets always look nearly empty and totally organized all the time. But boy, can i ever relate!! I've never eaten lobster in my life. I'll have to take a trip to New England. I doubt that lobster around here is the same. I should do some clearing out as well. I did a complete declutter a couple of years ago and now the closets are all full to overflowing. Darn that love of shopping. I have a large cupboard in desperate need of a Vee attack but I’m waiting to get in the right frame of mind - this is important when there are big decisions like ‘stay’ and ‘go’ to make! I’ve got as far as finding some cartons to put the Hospice Shop clutter in! 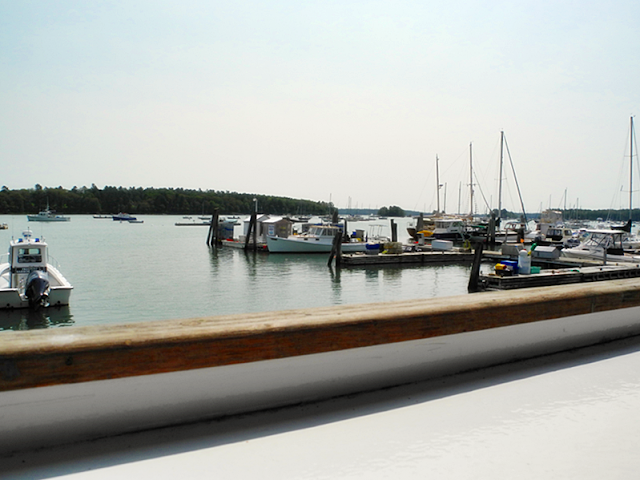 Lovely photos of boats at Freeport - is that where you live? We love anywhere on the coast! "Organization saves time" is one of my favorite sayings. 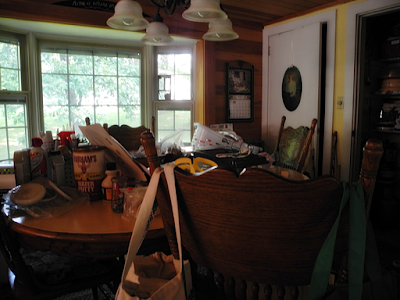 We've been doing lots of cleaning up around our home too. It's always nice to keep things in order, and perhaps sell, trash, or giveaway unneeded things. That lobster sounds too good to be true. I absolutely LOVE lobster and we can't get decent lobster here at all.